Like the rest of our entertainment furniture, its size and style can be customized to fit your needs. Like the rest of our entertainment furniture, its size and style can be customized to fit your needs. 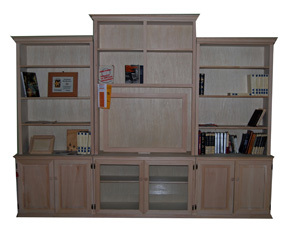 Available as an unfinished or custom finished media center.